Village Drama against Malaria used Cambodian drama, art, music workshops and village concerts to mobilise rural communities to eliminate malaria. 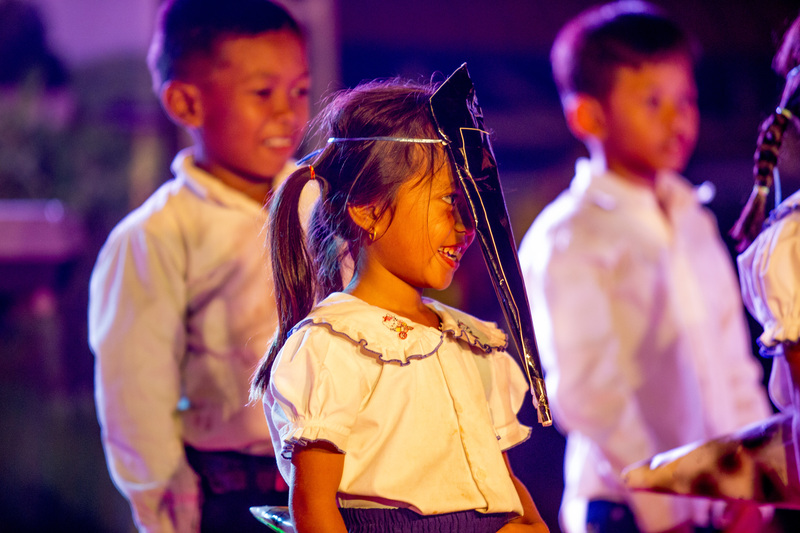 In June 2016, the Village Drama Against Malaria initiative held its first performance in O Treng (Reed River), a remote rural Cambodian village that suffers from high incidents of malaria. Over two hundred people, more than half the village, attended the performance, which featured five village singers and primary school children dressed as mosquitoes singing a song about malaria. The project then ran for three months and visited twenty villages in Battambang province, targeting those with the most malaria. The project was funded by a Wellcome Trust Provision for Public Engagement award. It was organised by the Mahidol Oxford Tropical Medicine Research Unit (MORU) community engagement team, and Dr Chan Davoeung, head of malaria in Battambang province, with support from MORU Cambodia Targeted Malaria Elimination (TME) team members Rupam Tripura and Tom Peto. Before the project began Tom Peto and Rupam Tripura from MORU met with ten different village leaders in rural areas of Cambodia to discuss the sort of entertainment that villagers would enjoy and to seek advice from village leaders on what was popular. Following these consultations, and having tried other mediums like video screenings in the past, the medium of drama was chosen. So began an initiative that has now engaged six villages where MORU is running the TME study and a further fourteen located in forest regions of the Samlout district in Battambang province. These villages were selected from among 49 villages in the district based on their high malaria incidence. 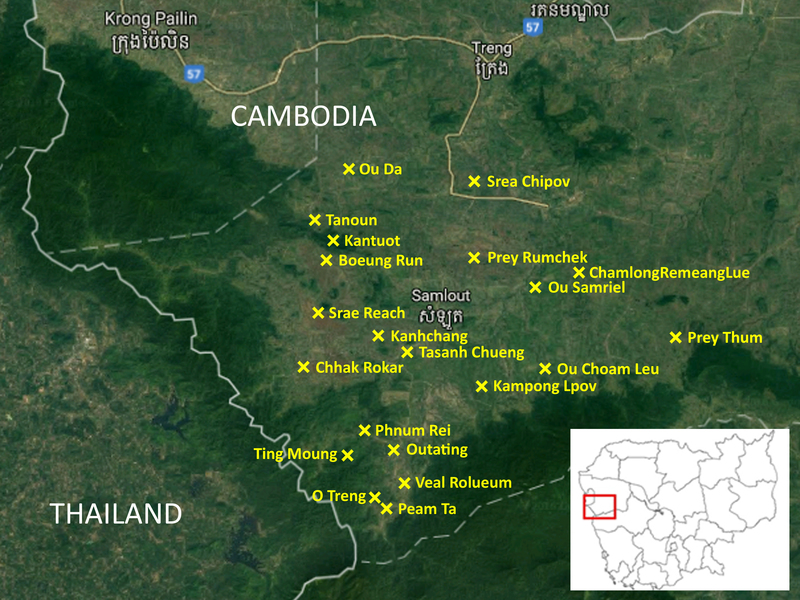 Caption: A map showing the locations of the villages visited. At each of the locations a local drama group worked with the local health department to create scripts relevant to the villages. Prior to each performance, a two-day workshop was held at the school with young people from the village to gather local stories about malaria and give local people the confidence and skills needed to perform on stage. All villagers and local authorities were then invited on the third day for a performance with music, karaoke, short health talks, games, and drama. The aim of the project was to explore the effectiveness and feasibility of using local drama and arts to creatively engage and empower rural communities to understand and support malaria control and elimination. The three key messages of the drama were to encourage people to prevent mosquito bites by using insecticide treated nets, to get early diagnosis and treatment from the village malaria workers, and to raise awareness about the risk of malaria in local forests. The project engaged with all villagers across age, gender and employment but with a specific aim towards targeting forest workers (who are mainly young men) and mobile and migrant populations. 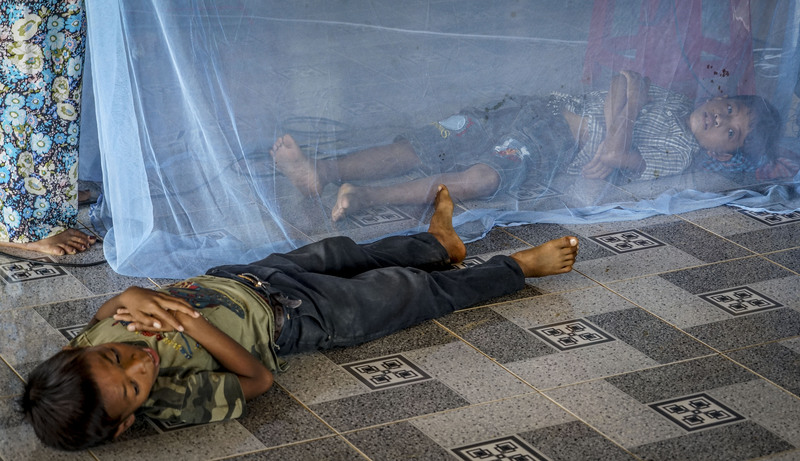 These two groups are most at risk of malaria and they are also the hardest to reach population. A full evaluation report, coming soon, will give a more detailed breakdown of the successes in these areas. The project took place from June to September which coincided with the rainy season. Due to poor infrastructure, roads became muddy and impossible to drive on during this period and bridges connecting villages were prone to collapse. This caused significant disruption to travel plans meaning the team could not proceed as scheduled and that a degree of flexibility had to be built into the plans. There was also an added time pressure in having to visit twenty villages in such a short time period. The team had a limited budget with only a small truck to transport everything including team members, props, clothes, a canopy, the stage and more. This created extra work for the team and resilience was needed, especially considering there was often no proper place for the team to stay. At the majority of locations team members stayed under the pagoda which is an open area, and slept under the mosquito bed nets. In terms of evaluation, the language barrier was the most important challenge. We could not find anyone with sufficient training to conduct the interviews in Khmer, the language spoken in most of the villages, so our evaluators from Bangkok went in to conduct the interviews in Khmer with help of a translator. Despite these challenges the project was deemed a success. We saw a high participation rate in all twenty villages with an average of 66% of village inhabitants participating. Interviews with villagers also showed an improved knowledge of malaria and increased motivation to eliminate it. We established trust and good relationship with local authorities, local leaders, local healthcare staff, village malaria workers and villagers which not only enhanced this project but will make it easier to explain the purpose of community engagement and malaria studies in these regions in the future. Visit the Village Drama Against Malaria Facebook page for more pictures and stories. The page has been translated into Khmer.